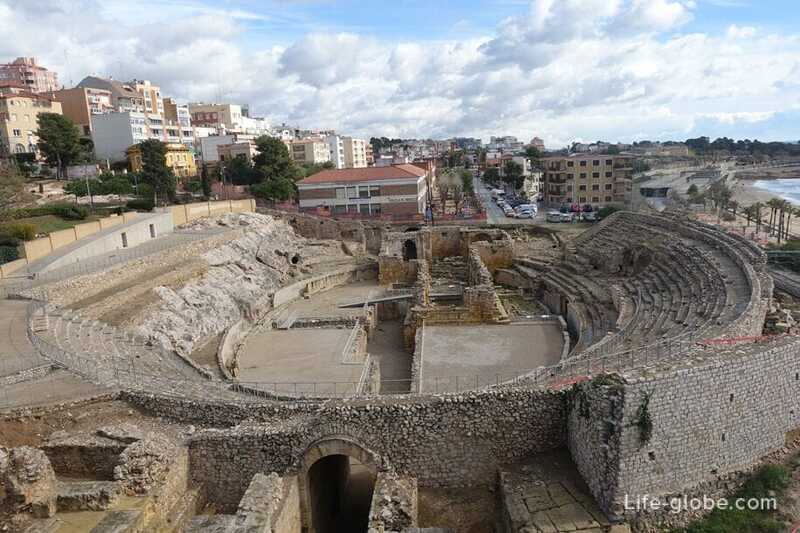 The amphitheatre was located outside the city, near the forum. 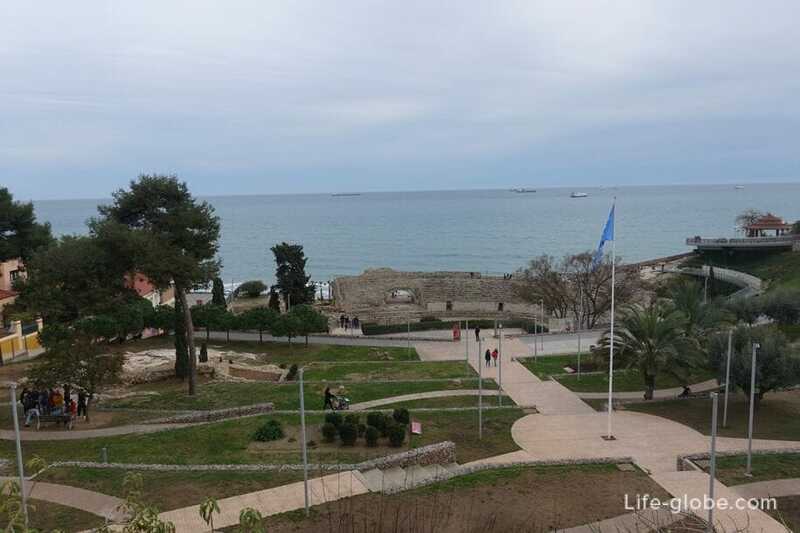 The construction of the amphitheater was chosen, it was located near the Via Augusta, close to the entrance of the town and near the beach, which gave a very comfortable "shipping" animals that were supposed to be on the show. The amphitheatre can accommodate up to 15,000 spectators and has dimensions of 130 to 102 meters. The amphitheatre was reconstructed in the year 221 during the reign Eliogabalo. Years later, on 21 January 259 years, the Christian Bishop Fructuoso and his two deacons, Augurius and Eulogius were burned alive in the arena of the amphitheatre. This fact has led to the construction of the iconic Basilica dedicated to these martyrs in the sixth century. After Christianity became the official religion of the Empire, the amphitheatre lost its original functions. In subsequent years some of the stones of the Roman theatre was used for the construction of the Basilica in memory of the three martyrs. 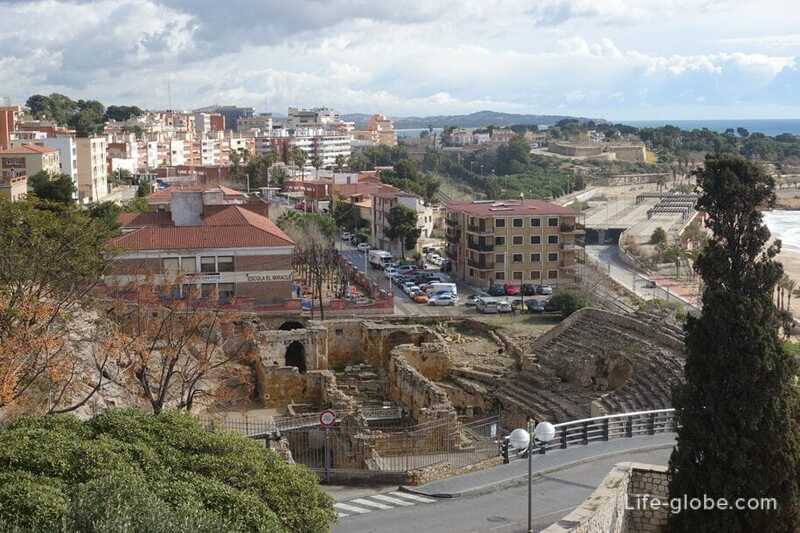 In 1780, the amphitheatre was used as a prison for prisoners who built the port of Tarragona. After the closing of the prison, the amphitheatre was abandoned until the mid-20th century, when work began on the restoration of the theater. To date well preserved some parts of the amphitheatre, among which are: part of the arena where fights were held, the seats and stage. 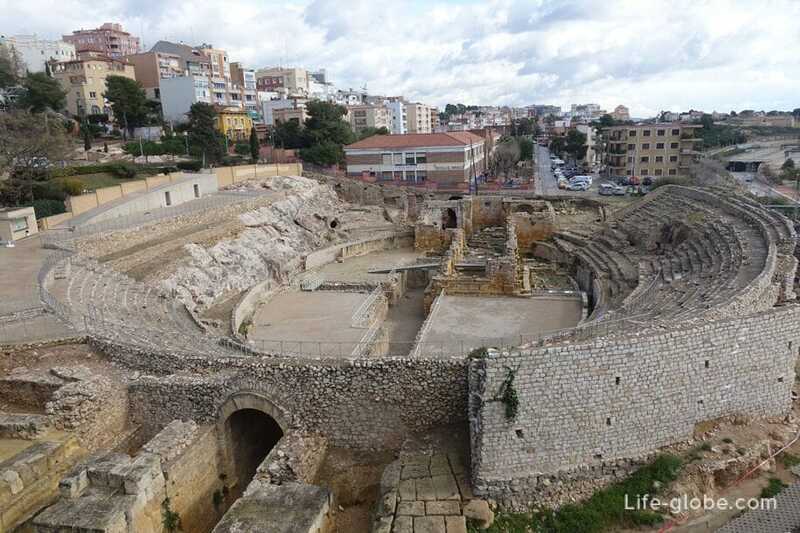 Now the amphitheatre is included in the world heritage list of UNESCO and is one of the most visited attractions of the "old" city. 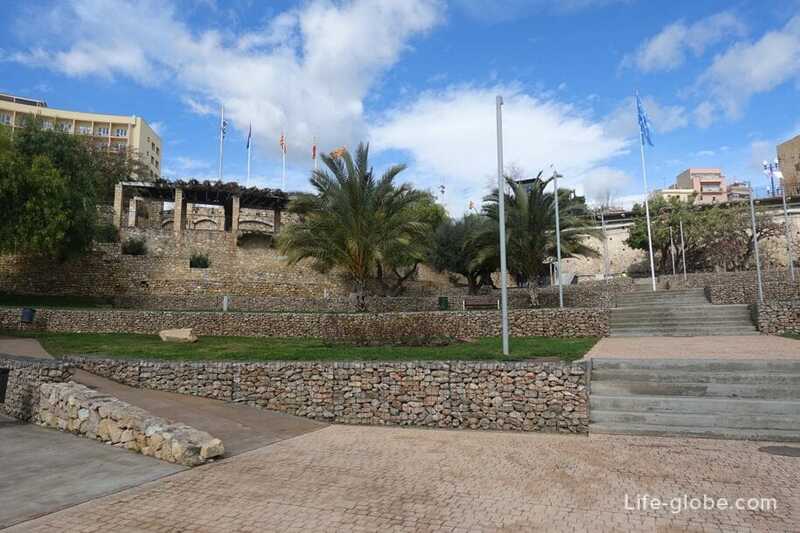 The amphitheater is located under the hill near the lookout "Balcony of the Mediterranean". This convenient location gives a good view of the amphitheatre from a height. In our days, when the amphitheater is a small Museum exposition. Part of it can be viewed for free, while those willing to go into the depths of the amphitheatre, must buy tickets. The entrance fee is: 3,30 Euro for adults, free admission for children and adolescents up to 16 years. There are also discounts on group visits. - open doors - international day of museums, night of museums, European heritage days and other days of temporary exhibitions. Attention! The cost of tickets, hours of operation and days of free access to the amphitheatre are subject to change, please check before visiting. Above the amphitheatre was situated a small Park Amphitheatre (Parc de l'Amfiteatre). 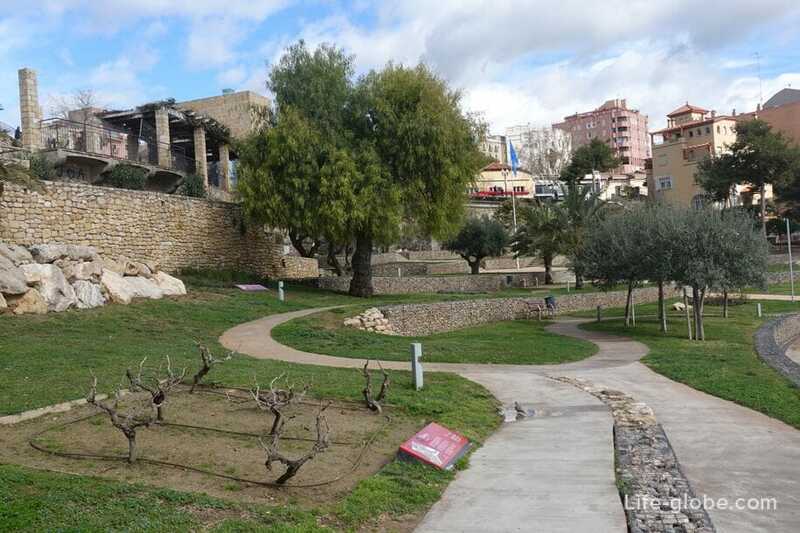 In Park: walking paths, flower beds, a small Playground and places for rest. 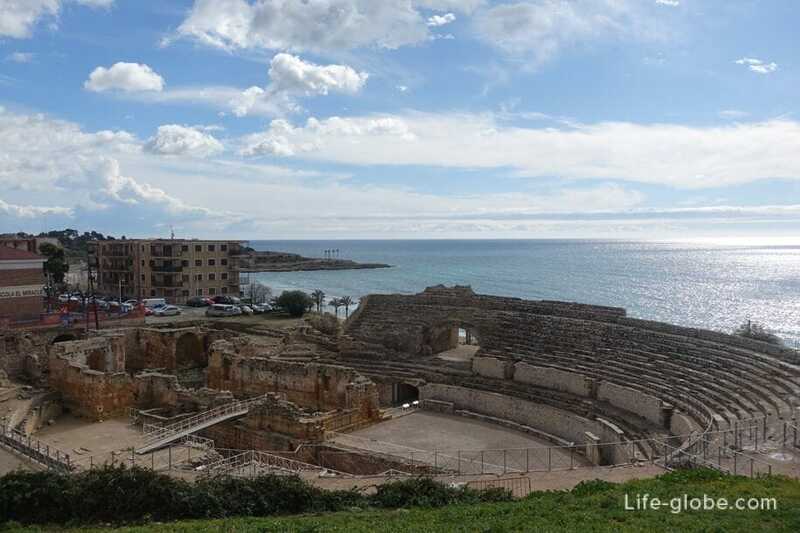 From the Park also offers beautiful views of the amphitheatre, the beach, the Mediterranean sea and the surrounding area.